Get the information you need to know about your residence. Find out if there's a silent killer lurking inside your home. Make sure the structural integrity of your home is intact. We can bundle services together to save you money. Are You Confident in the Home You're Buying In Southeastern PA? We'll look at everything from the foundation to the roof. Call (610) 717-4249 today to schedule the home inspection services you require in Pottstown, Collegeville, King of Prussia PA and surrounding areas. Before buying a home, it's a good idea to get a home inspection so you know exactly what you're buying. As a homeowner, you want to know the condition of the property you're selling in case any questions come up from a potential buyer. When we inspect your home, we'll also keep an eye out for wood destroying insects that could impact the structural integrity of your home. 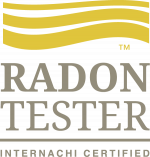 We can also perform a radon inspection or water testing. Contact Rest Assured Inspections today to get the peace of mind you need regarding your property in the Pottstown, Collegeville, and King of Prussia PA area. When you need to know all about your home, you want a reliable home inspector who can get you the information as quickly as possible. Rest Assured Inspections can provide you with a report within 24 hours. 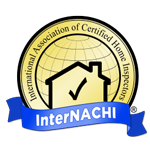 Our InterNACHI-certified home inspector offers evening hours to make our service as convenient as possible. 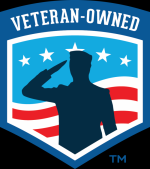 We also give a $25 discount to members of the military, first responders and teachers. Find out what separates us from the competition by contacting us today for all your home inspection needs. Copyright © 2019 Rest Assured Inspections, all rights reserved.